As the clock strikes twelve on New Year’s Eve and resolutions are scribbled on paper or in your phone’s notes, one reoccurring goal is often to “travel more,” but what does that even mean and have you achieved your previous travel resolutions? The best goals are specific and timely. Instead of the usual vague resolutions, we are challenging you to at least try the following five travel resolutions next year. Challenge: We want to see your resolutions in action! 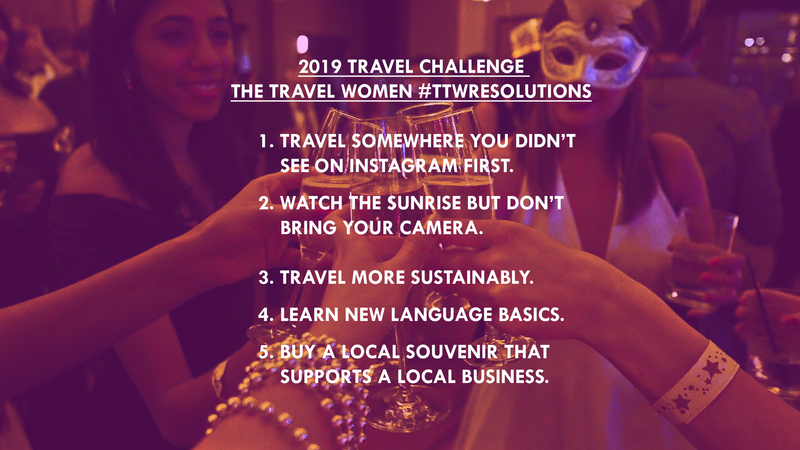 If you try to do all five of these suggested resolutions and tag us on Instagram with the hashtag #TTWresolutions and tell us about your experiences, you could be featured on our Instagram! 1. Travel somewhere you didn’t see on Instagram first (that’s not overly photographed) or a place that’s truly off the beaten path. 2. Wake up to watch the sunrise and don’t bring your camera, just enjoy it. 4. Try to learn the basics of a new language where you’re visiting. 5. Buy a local souvenir that supports small local businesses. Yes, agreed exactly, as much as I love recording beautiful travel videos, it is so important to also take a step back and enjoy every moment in person! Yes exactly, there is so much to see as much as I love recording it on my camera, it’s also wonderful to practice balance and put down the camera sometimes to fully enjoy it through your own eyes!